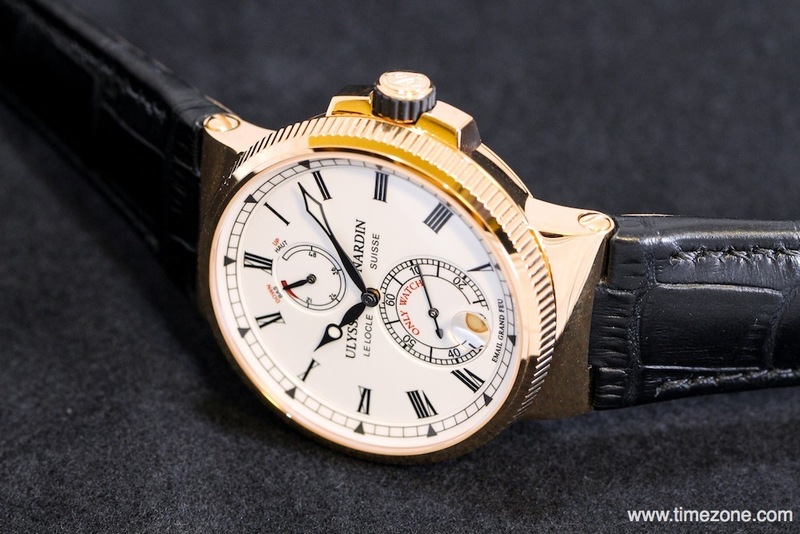 For Only Watch 2013, Ulysse Nardin are offering a unique version of their iconic Marine Chronometer, this time using their in-house movement. 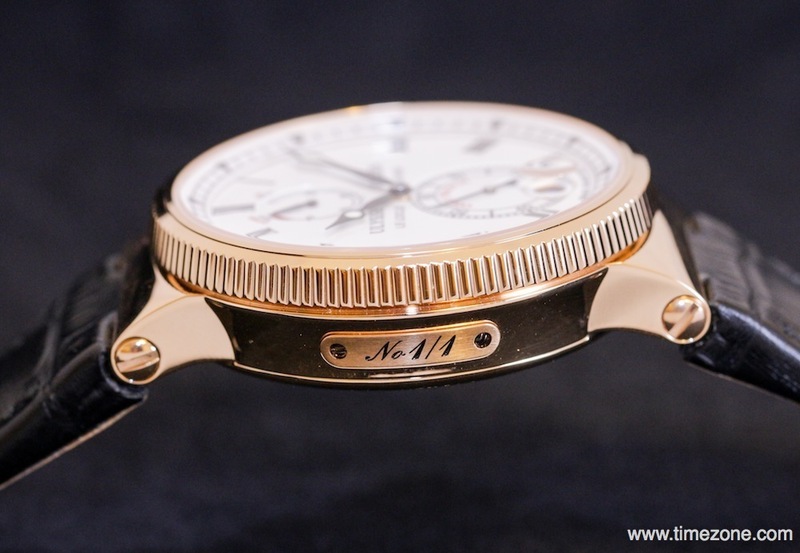 The 18kt rose gold case measures 43mm wide. 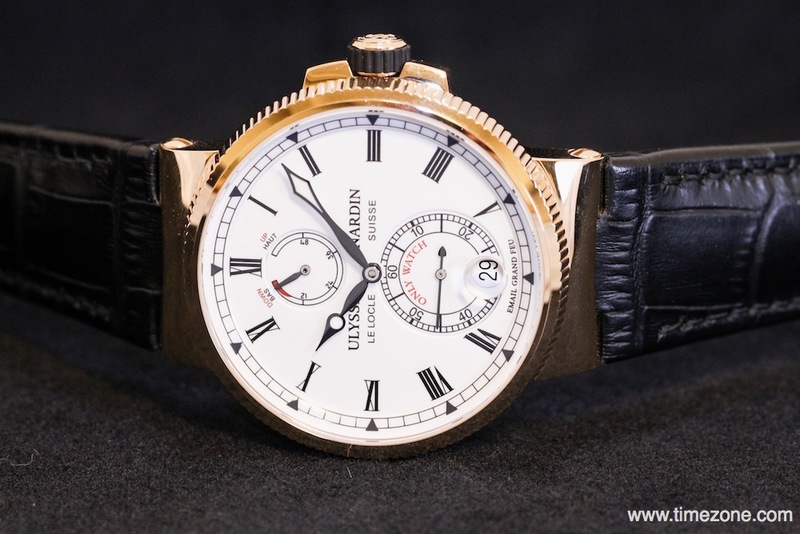 The dial is white Grand Feu enamel, made by Ulysse Nardin's subsidiary enamel dial experts Donzé Cadrans. Movement is Ulysse Nardin's automatic in-house caliber UN-118 with 50 jewels, 28,800 vph and a power reserver of 60 hours. It is COSC-certified as a chronometer. 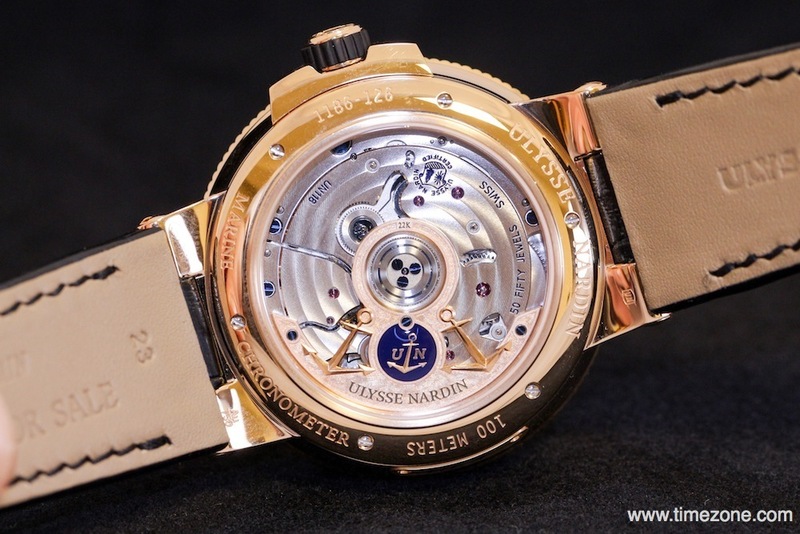 The anchor escapement in this movement is produced using DiamonSil, Ulysse Nardin's revolutionary alliance of diamond and silicon, and a furthering of its pioneering collaboration with Sigatec. Caliber UN-118 demonstrates the synergies between technologies of the engraving of silicon and Diamond Coated Silicon (DCS) and is the first member of a new family of movements that will house this anchor escapement in DiamonSil, with Ulysse Nardin's own oscillator and its patented hairspring.